An exemplar of forward-thinking mid century architecture, Berlin’s Congress Hall was the brainchild of American architect Hugh Stubbins, realised through a gift to West Germany as part of the INTERBAU expo. Serving as a major international architecture exhibition that affirmed Germany’s commitment to fast-tracked post-war Modernism, the expo invited a remarkable collection of architects inclusive of Walter Gropius, Alvar Aalto, Oscar Niemeyer and Le Corbusier with mind to generating concepts for a future-proof ‘City of Tomorrow’. 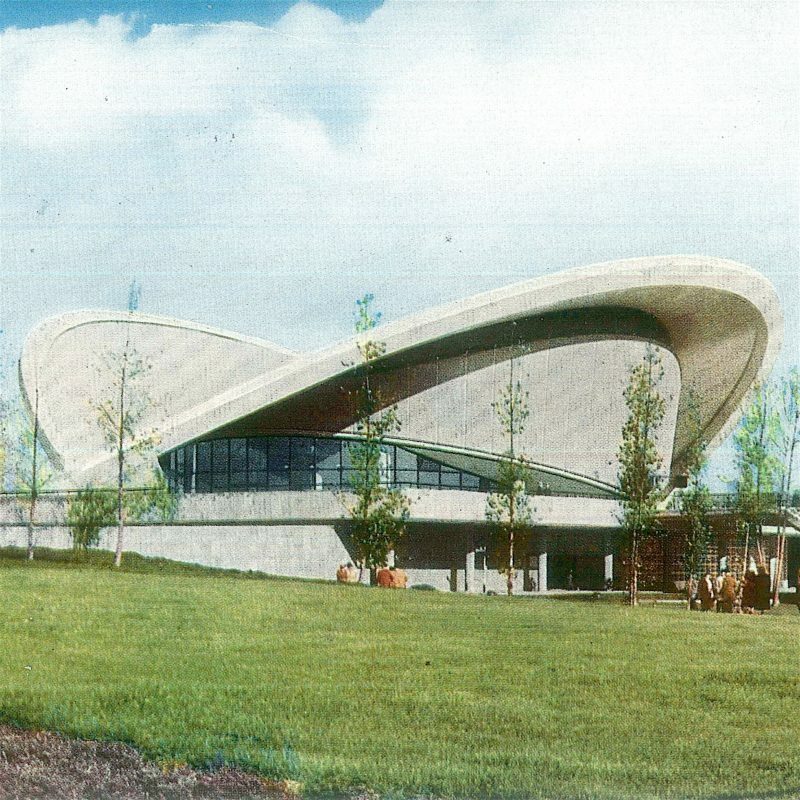 Amongst the designs was the Congress Hall, a bold structure with a defining double-curved roof profile (made possible through then-advanced prestressed concrete construction) and sweeping glazed sections to both primary facades. Famously collapsing in 1980 due to inadequate structural rationalisation and consequent corrosion, the building has since been meticulously restored and re-opened as the House of World Culture.